2012 is all about sharing. Soooo...what would you like to learn about? I've found lots of tools and cool websites online and would like to provide answers, tips, tricks or resources for things that YOU want to hear about. So what is it that YOU'D like to see in those posts? What would you like to know about photography? Let's hear it. 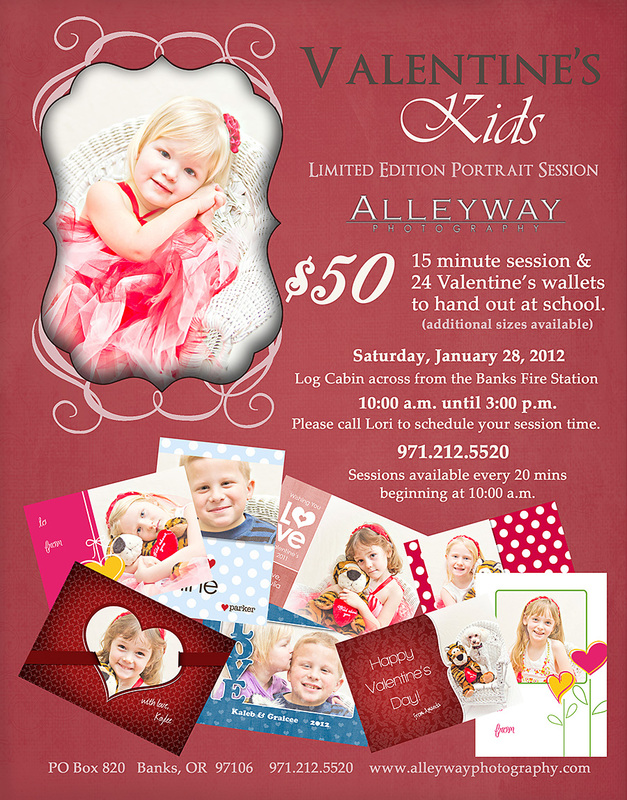 :-) Send me your questions by email to lori@alleywayphotography.com or on Facebook at www.facebook.com/AlleywayPhoto. I'd love to hear from you! 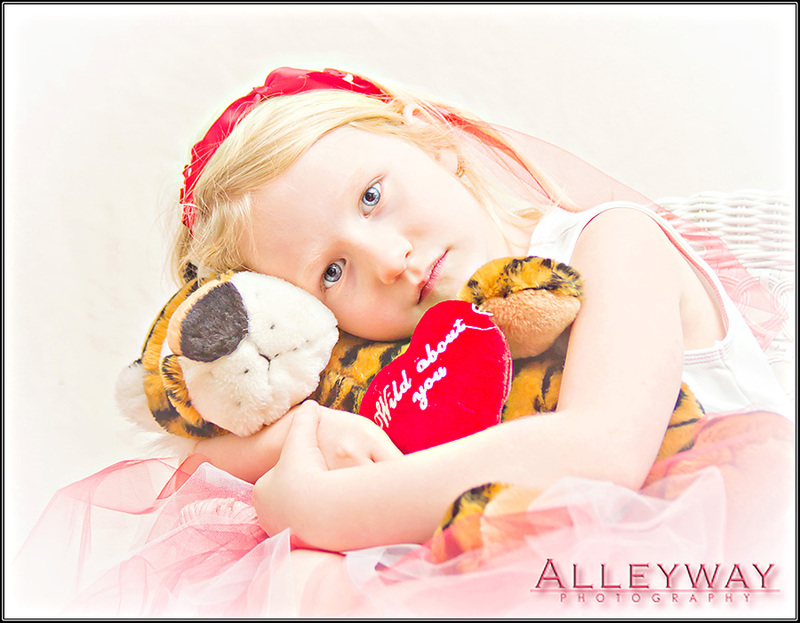 Here's a recent one of my daughter from a Valentine's session I had with her and some friends. What do you think? Not your average kid's Valentine's Day card! SUPER SALE to kick off 2012!!!!! I'm going to start this New Year off with a bang! 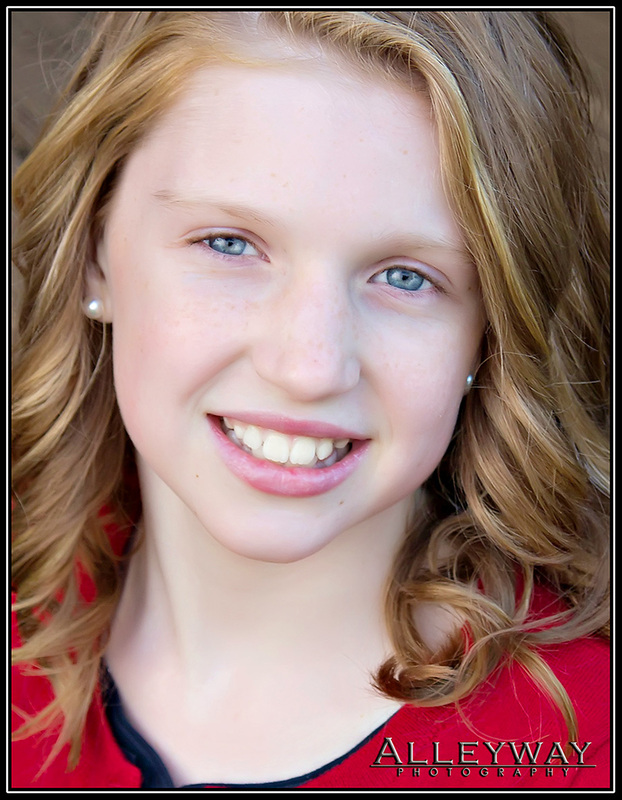 $39 for a one hour session and an 11x14 portrait! Earn additional FREE 5x7's for referring this special to your friends. For each referral, you'll receive one free 5x7! This is available until Saturday, Jan 14th. 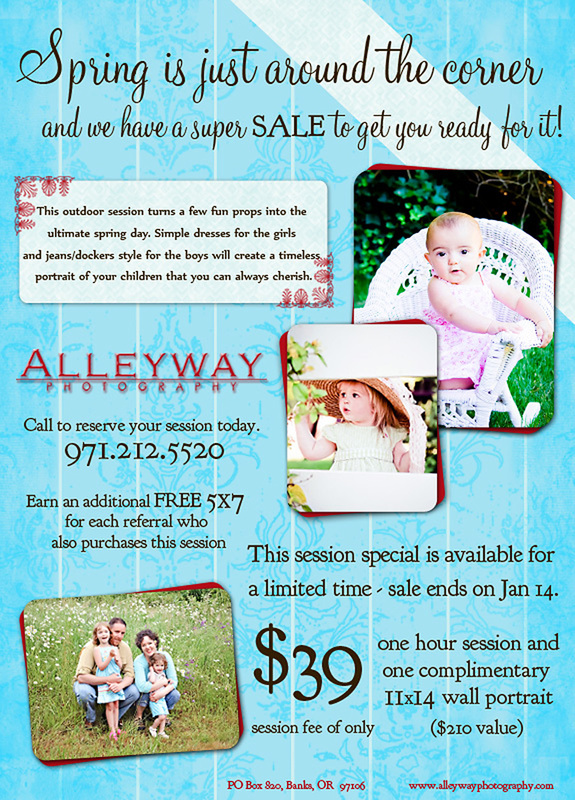 The session vouchers expire on June 15th, so you'll have 6 months to use it. Buy it for yourself or as a gift. 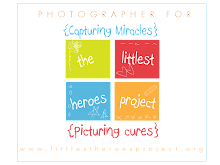 AND the person who refers the most people who purchase a session will receive CUSTOM FRAMING for their 11x14! So many ways to win! Have fun! I know that it's cold outside right now, but we do have nice days during the Winter in the beautiful Northwest and we definitely have gorgeous Spring days. I love it all! Hope to hear from you soon! For your convenience, I accept cash, check, VS, MC, DS and AMEX.